Erin Taylor Young is a writing teacher, speaker, cohost of the Write from the Deep podcast, and the former co-managing editor for a publishing company she helped to found. 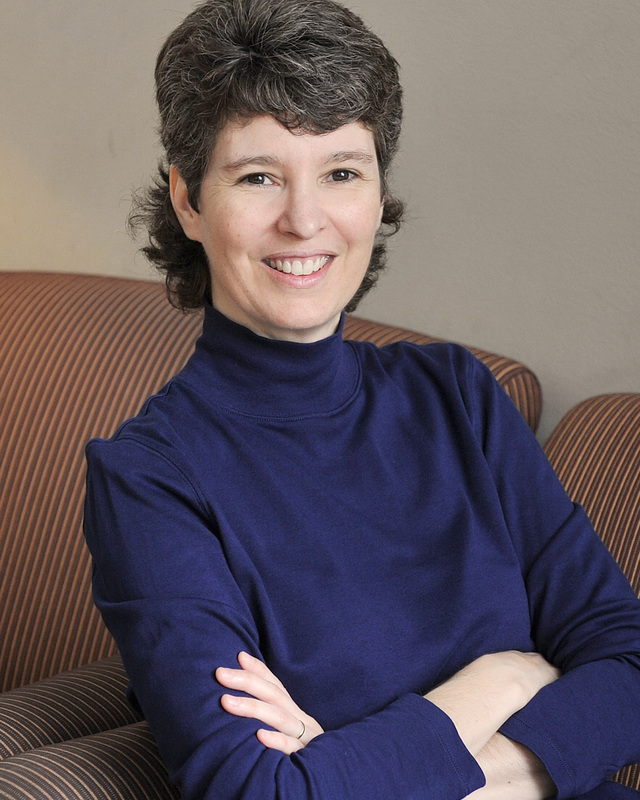 She’s also an award-winning humor writer whose books, Surviving Henry: Adventures in Loving a Canine Catastrophe and Still Surviving Henry: The Untold Stories, have been repeatedly accused of making readers laugh until they cry. Erin Taylor Young’s deepest passion is the Word of God and bringing encouragement from His truth to readers and writers. 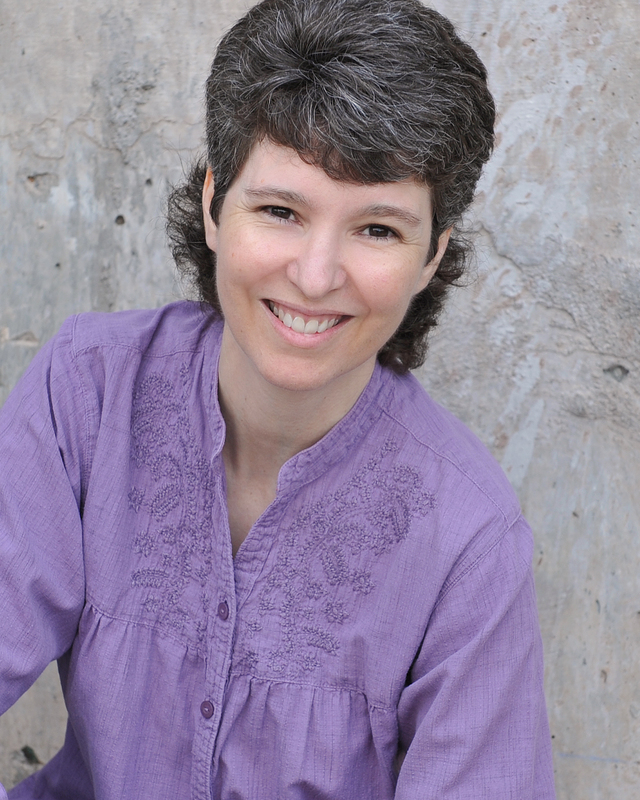 She teaches workshops about writing and publishing at conferences across the country, produces and co-hosts the Write from the Deep podcast, and is the co-creator of From the Deep, LLC, an inspirational resource for writers. She co-founded a successful independent publishing company and was the co-managing editor before selling the company to another publisher. She’s also an award-winning humor writer whose books, Surviving Henry: Adventures in Loving a Canine Catastrophe and Still Surviving Henry: The Untold Stories, have been repeatedly accused of making readers laugh until they cry. Learn more about Erin at erintayloryoung.com where she blogs about writing, God, and her aversion to spiders. Learn more about the Write from the Deep podcast at writefromthedeep.com. Sometimes you seek out love. And sometimes it broadsides you. You don’t always know what you’re getting into when you bring home a puppy. You hope for laughs and cuddles, long walks and a wagging tail. And sometimes you get . . . Henry. Henry is a boxer who suffers from Supreme Dictator of the Universe Syndrome. He vandalizes his obedience school, leaps through windows, cheats death at every turn, and generally causes his long-suffering owner Erin Taylor Young to wonder what on earth she did wrong that God would send this dog to derail her life. But this rogue torpedo of a dog wasn’t sent to torment his owner—well, not just to torment her. Through all the hair-pulling and questioning of her own sanity, Erin learns something very powerful from Henry, a dog who brings new meaning to the concept of unconditional love. Through his laugh-out-loud antics and jaw-dropping escapades, Henry will careen into your life and steal your heart. Read the full Guideposts review here. The rogue torpedo of a dog is at it again! Henry hauls author Erin Taylor Young and her readers into mischief, mayhem, hilarity, and heartwarming adventure. 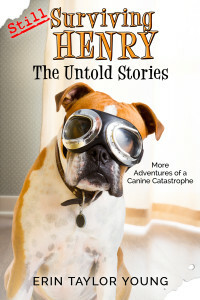 Come join Henry, canine catastrophe extraordinaire, as he romps through an all new collection of true life—and near-death—tales. You’ll laugh yourself silly—and maybe even shed a tear or two—as Henry shows that there’s a lot more to life than merely surviving. 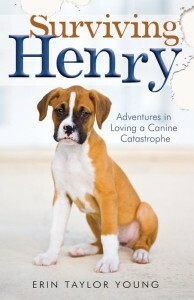 For anyone who’s read Young’s first book, Surviving Henry: Adventures in Loving a Canine Catastrophe, it won’t be a surprise to learn that she couldn’t fit all his antics into one book. For readers who haven’t yet met Henry, here’s to your full-tilt initiation. Surviving Henry is not just another dog book. It is an inspiration. Surviving Henry will take readers on a funny yet insightful journey through raising a dog who wants to be good but finds himself in many precarious situations. In the end, perseverance and hard work turn into love and insight. Surviving Henry will inspire everyone to continue on in this journey of life. Snappy, smart, and filled with the raw emotional power of a genuine redemption tale in the middle of a slapstick comedy. Henry the Boxer is bigger than life, and only Erin Taylor Young’s dry wit and practical grit can tame the beast inside of him. If laughter is the best medicine, Erin Taylor Young is a whole pharmacy! Not since Erma Bombeck has a humorist looked at everyday life through such a funny lens. Erin Taylor Young is one of the freshest, funniest voices to come along lately. The first time I read her work I was in bed. I ripped off the covers and ran into the living room where my husband was standing and read the entire passage to him. It takes a lot to get me out of bed once I’m tucked in and comfortable. It was then and there I knew we had an extraordinary new voice coming into the publishing world. Injuries aside, the thing that struck me the most about this book was not the comedic situations but the enduring tenderness that Erin has for Henry and her absolute resolve for turning him into a well trained pet. She endures hours of obedience classes, countless moments of humiliation (Henry always greets the dog trainer by piddling on him—always) and risks her personal safety to give Henry a shot at being the best dog he can be. Surviving Henry is an apt title for this book. The word survival indicates some sort of triumph, and even if Henry never becomes the Lassie among boxers, the Youngs still come out on top for their refusal to give up on the commitment they made when they became pet owners.